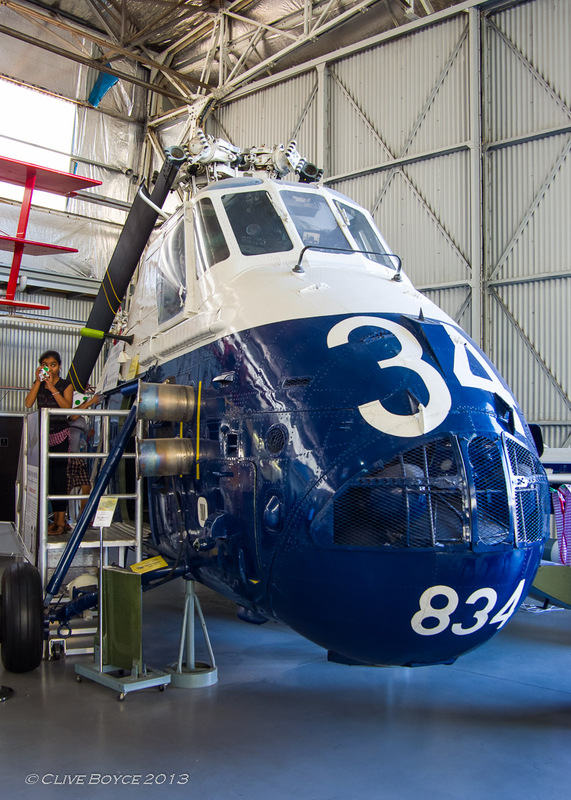 The museum only has one rotary wing aircraft, the Westland Wessex 31B. The Wessex entered service with the Royal Australian Navy in 1962. It was the first helicopter to be used by the navy in a anti-submarine role, and was deployed on both of Australia’s aircraft carriers HMAS Sydney and HMAS Melbourne. The type was retired in 1987. Australia’s carriers are now also long gone. You can climb inside the Wessex. Despite its large external appearance, I was amazed just how pokey and awkward the internal layout was. It was a real pain to move about and to get into the cockpit area looked to be a contortion trick in its own right. There is another Wessex on display over in the Sydney Maritime Museum. Suspended from the ceiling it looks most impressive. 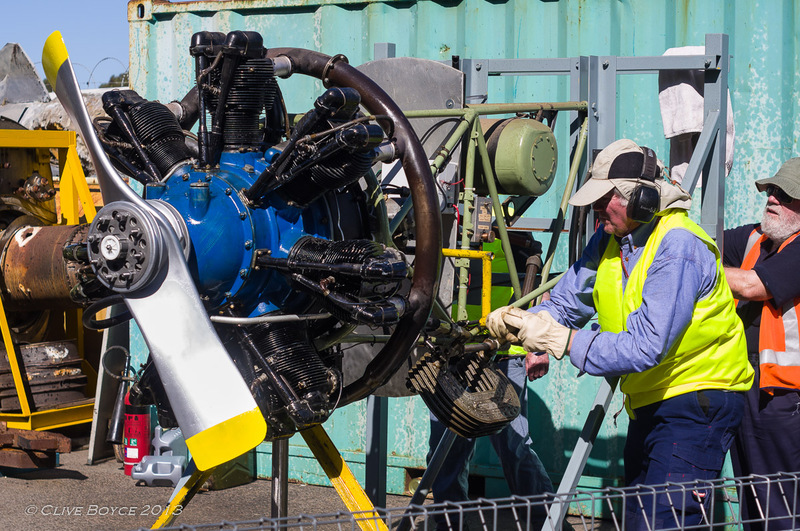 Step outside the main hanger and a smaller shed used for restoration work can be found. Several aircraft were housed here including an Avro Anson (Reg EF-954). Over 1,000 Ansons were used in Australia during World War II for coastal reconnaissance, navigation, gunner and pilot training. This particular aircraft was used at a flight training school at Mallala, a country town in the wheat belt just north of Adelaide, from 1942 to 1945, and recovered from that area in 1984. 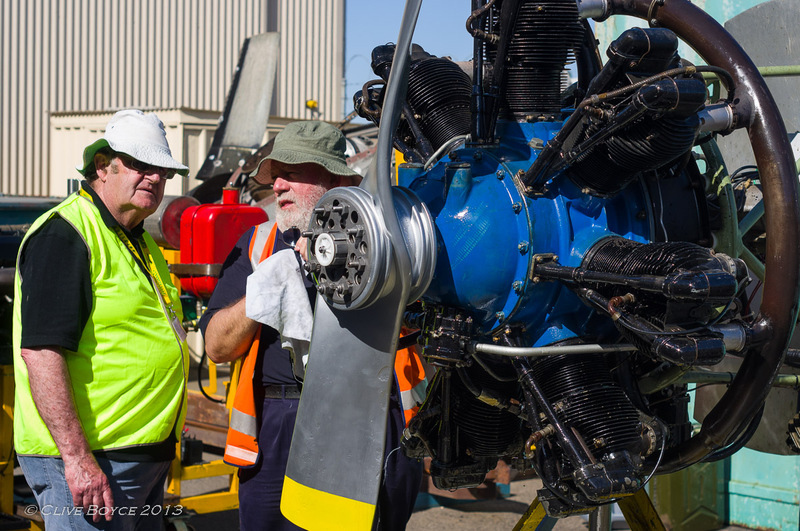 Its restoration has involved the blending in of components from a number of other less complete Anson remains. 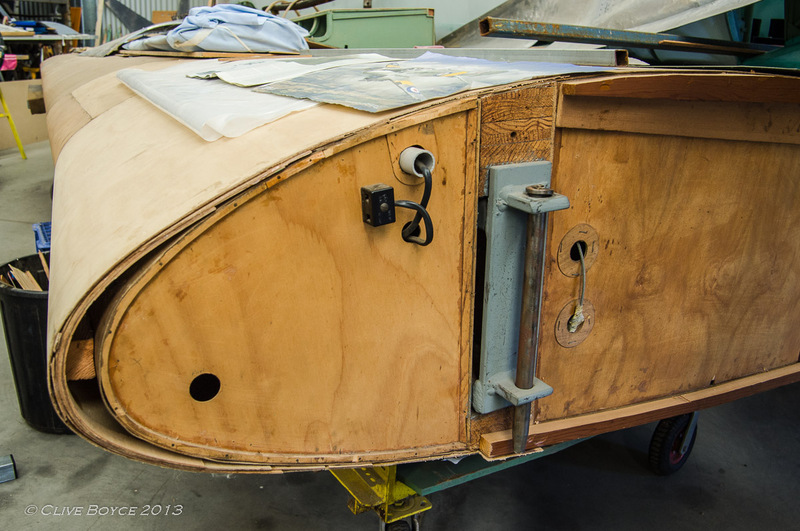 Here is a cross section of an Avro Anson wing that is being rebuilt. The tortured ply construction method would be familiar to builders of off-the-beach catamarans. The Anson wings suffered from de-lamination of the wings due to suspected deterioration of the glue in the Australian heat. They were grounded in Australia in 1962 and most were scrapped by owners at that point. There is apparently one airworthy Anson in New Zealand which was re-fitted with later metal wings. 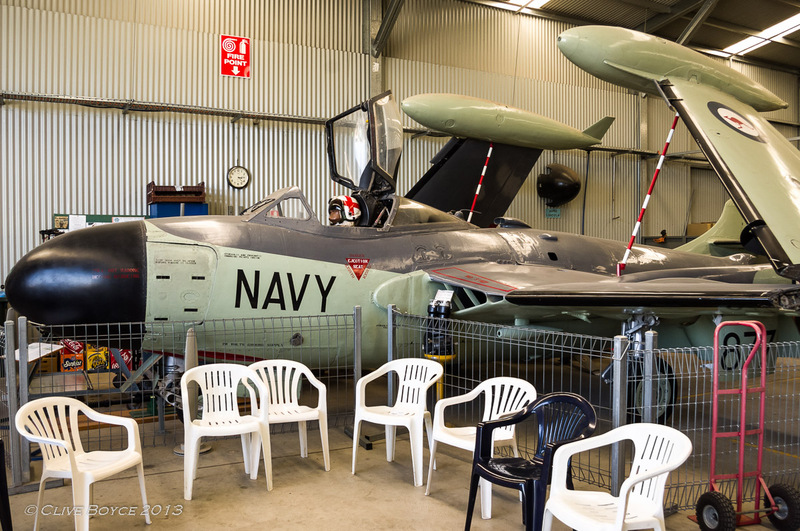 Also in the work shed was a De Havilland DH-112 Sea Venom. The Sea Venom is the naval folding wing version of the Venom, which was itself essentially an evolution of the Vampire seen earlier. Sea Venoms served on the HMAS Melbourne from 1956 to 1967. Several times during the afternoon, a selection of engines were fired up in the museum’s yard. Here is a running Rolls Royce 12 cylinder Kestrel. The Kestrel is the immediate predecessor of the Rolls Royce Merlin that powered the Spitfire fighter and the Lancaster bomber. Unfortunately, you really need the soundtrack for this. I might go back one day and video the engine runs. The museum also has a Merlin engine which it intended to run on this open day, but the engine decided to get the sulks and not run properly. 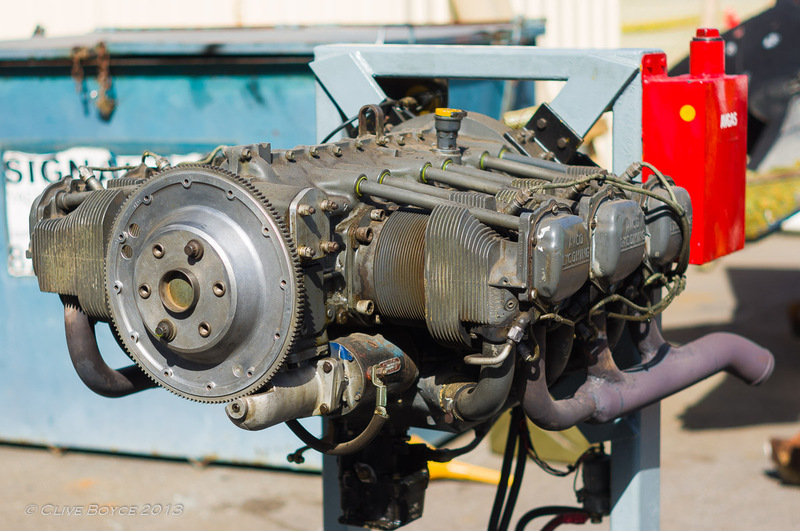 A Lycoming 6 cylinder engine. 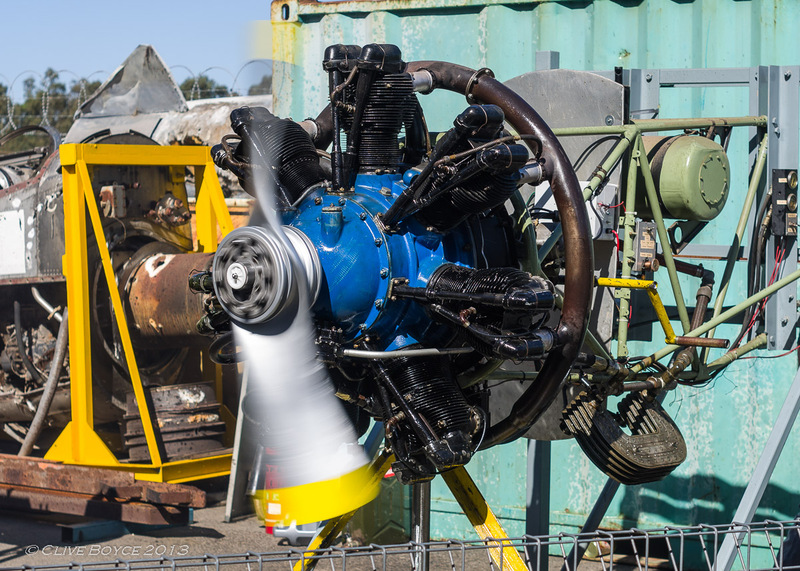 Four and six cylinder variants of this engine power a good proportion of the world’s piston engine general aviation fleet. An Armstrong Siddeley Cheetah engine as used in the Avro Anson. Hand cranked, it failed to fire on the first effort, and the other motors were run instead. At the end of the demonstration, another effort was made to get the Cheetah going. Success! The Cheetah roars into life. Which one of us gets to clean this mess up? The Cheetah had a bit of an oil leak while running and the prop wash spread the oil near and far all over the engine and the frame it was mounted on. That’s the end of the photos. 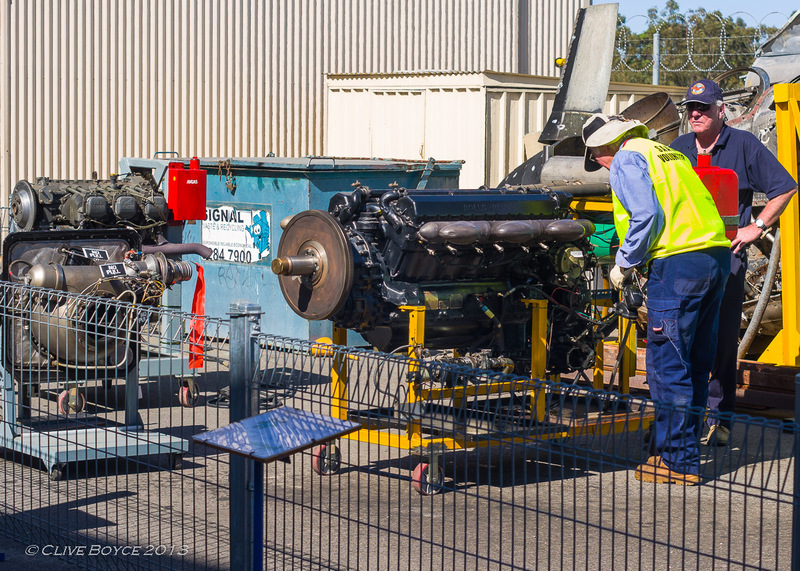 I think you’ll agree with me that the South Australian Aviation Museum packs a fair bit into what is a fairly small site. I recommend a visit for anyone with an interest in planes. Shot on the Pentax K-x with a still new to me Pentax FA 20-35 F4 zoom that’s recently arrived from Korea, except for the outdoor shots of the aircraft engines which were taken with my Pentax F 50 F1.7 prime lens. 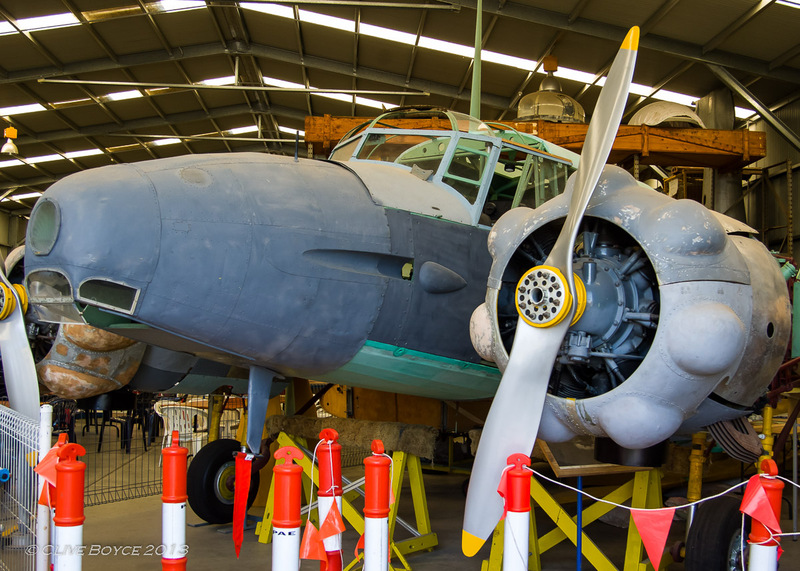 More information about the South Australian Aviation Museum and its collections can be found at its website here. The museum is open every day from 10.30am – 4.30pm. I recommend checking the website for special event days when access to plane cockpits is available and engines are run. The CSIRO Fokker F27 Friendship has quite an interesting operational history and list of research projects, including, surprisingly, one conducted in the Australian outback that settled an argument between the UK and Sweden. A CSIRO employee who managed the plane’s operations has written up an operational history here: History of VH-CAT: The CSIRO story His write-up includes a photo of the F27 in flight with its nose extension. If you have a mildly scientific bent, it’s an interesting read. The museum is located in Lipson Street, Port Adelaide, South Australia. If wishing to use public transport, buses from the city centre running down Port Road to the Port will get you there, or take the Outer Harbor train service and alight at the Port Adelaide railway station.